Once the news released that the 2012 ING NYC Marathon was canceled, Team Grassroot Soccer runners wanted to know: how can we lend a hand to those impacted by Hurricane Sandy? Team GRS volunteers at God's Love We Deliver in NYC. Team Captain Ethan Zohn is in back left in yellow shirt; GRS Global Board member Jennifer Diamond is pictured front row, second from left. With GRS co-founder Ethan Zohn leading the way and GRS Global Board member Jennifer Diamond helping to organize, Team GRS runners and their friends and family gathered to lend a hand at Manhattan-based charity God’s Love We Deliver (GLWD). 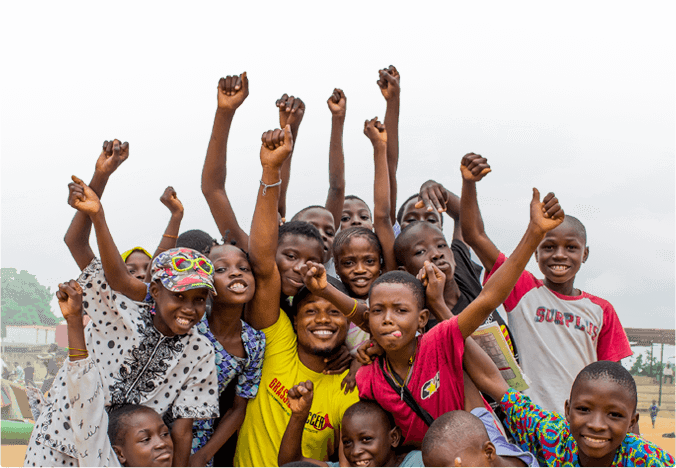 The mission of GLWD is to improve the health and wellbeing of men, women and children living with HIV/AIDS, cancer and other serious illnesses by alleviating hunger and malnutrition. GLWD lost power for a week after the hurricane, so all of their food had to be thrown out and the kitchen had to be cleaned and sanitized to get it back up to code. GLWD was worried about having this done in time for Monday in order to maintain their routines and get the food delivered to their clients, many of whom are still without power and living in areas ravaged by the storm. The marathon team came together as a group, while also supporting a cause closely linked to the mission of GRS. Team volunteering will now become a GRS endurance events tradition. While many of our runners ran various distances on Sunday, some even going the full 26.2 miles, the reward of lending a hand and helping those in need made for an incredibly memorable day and kept with the giving spirit of Grassroot Soccer. If you wish to make a donation to Team GRS you can do so at Crowdrise. 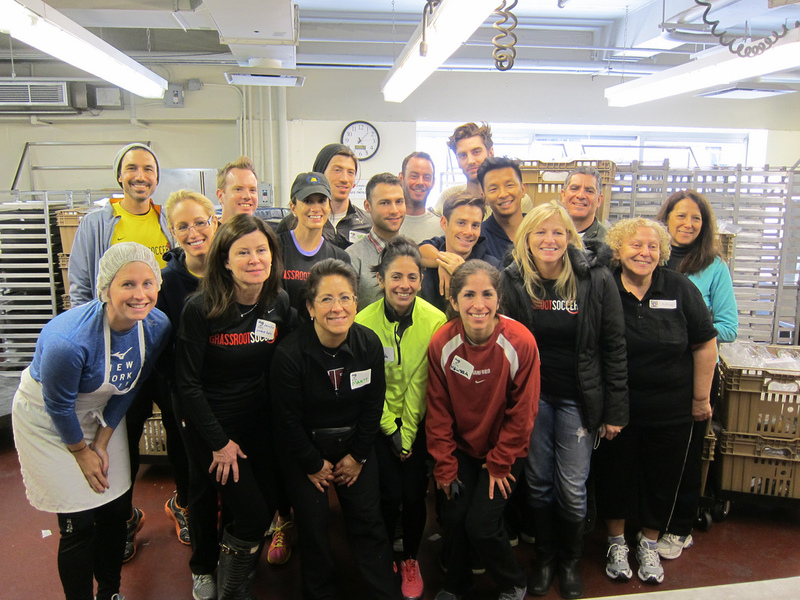 A HUGE kilo to all of our runners-here is to an EPIC 2013 NYC marathon!